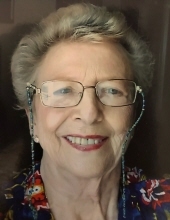 Carol Occhiato-Papera, 74, of Bridgewater, New Jersey, passed away on Wednesday, March 13, 2019 at Robert Wood Johnson Hospital in Somerville, New Jersey. Carol was born in Somerville, NJ, resided in Raritan for 25 years, and Hillsborough for 5 years, before moving to Bridgewater 19 years ago. Carol was a graduate of Bridgewater-Raritan High School in 1961 and was a retired Nurse caring for people for 30 years. Carol loved traveling around the world, especially to her Happy Island of Aruba, to Iceland where she saw the Northern Lights and to Greenland where she manned a dog sled. Carol also drove across the country “solo” to visit one of her dearest friends. Her greatest joys in life were painting and crafting and spending quality time with her family and friends. She is preceded in death by her beloved Mother, Beatrice J. Handell; and her loving husband of 20 years, Daniel “Vinny” Papera. Surviving are two loving daughters, Patti and husband David Esposito of Raritan, NJ, and Joni and husband Bobby Young of Bridgewater, NJ; her three cherished grandchildren, Alyssa and husband Jack Zierenberg, Jake Esposito and fiancé Angelina Antonicello, and Jillian Young; and her adored great-granddaughter Mila Rose. She is also survived by her step-son, Adam Papera and dear friend Matty DeCastro. Funeral services are private under the direction of the Branchburg Funeral Home, 910 US Highway 202 South, Branchburg, NJ 08876. A celebration of Carol’s life will be held at a later date. To send flowers or a remembrance gift to the family of Carol J Occhiato-Papera, please visit our Tribute Store. "Email Address" would like to share the life celebration of Carol J Occhiato-Papera. Click on the "link" to go to share a favorite memory or leave a condolence message for the family.